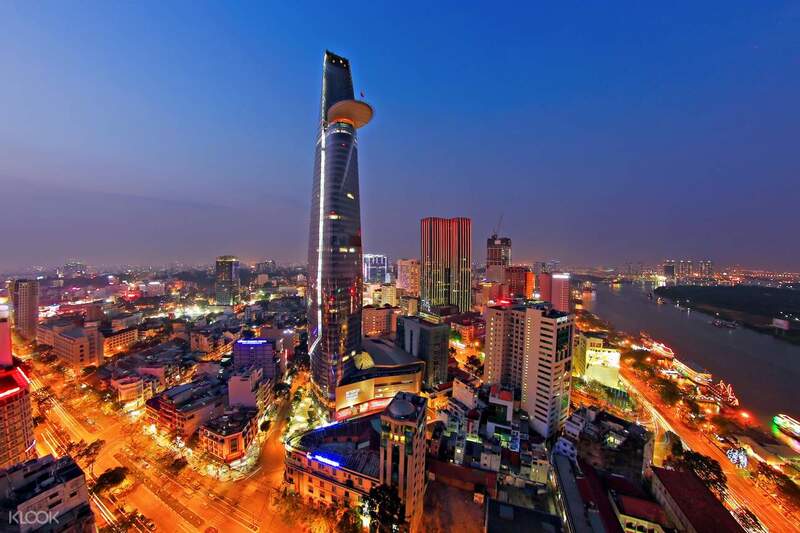 Board a high-speed elevator up to the Saigon Skydeck inside Ho Chi Minh City's tallest building! 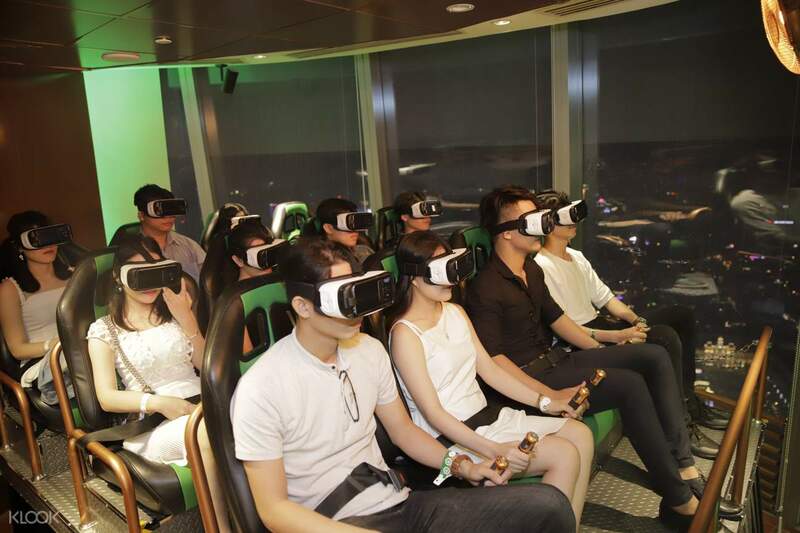 Get an amazing, 360-degree view of the city and visit the only World of Heineken in Asia! Bring home a customized bottle of Heineken beer with your name on it! it was worth to get the ticket included Heineken experience, you will get 3 free beverage and one of that is a bottle of Heineken with your name. Great experience and suggest to go during evening time so that you able to catch the sunset and night view. Customized bottle of Heineken beer with your name on it! Open to public since 2011, the Saigon Skydeck is one of Vietnam’s prime attractions. The Saigon Deck is located on the 49th floor of the the Bitexco Financial Tower, a 68-floor skyscraper, which also houses Vietnam's first lotus-shaped helipad, designed to resemble Vietnam's national flower. With a Saigon Skydeck ticket, step into a high-speed elevator to reach the observation deck and enjoy stunning panoramic views of the city. 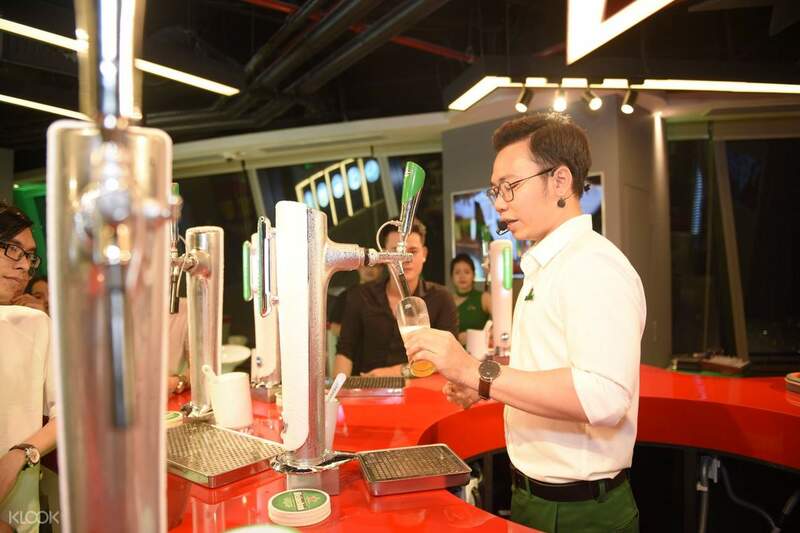 Upgrade your experience and choose the Saigon Skydeck and World of Heineken Combo package to go on a interactive beer brewing tour and get a customized bottle of Heineken beer with your name on it. With the help of your friendly draught master, discover the right way to enjoy beer! it was worth to get the ticket included Heineken experience, you will get 3 free beverage and one of that is a bottle of Heineken with your name. Great experience and suggest to go during evening time so that you able to catch the sunset and night view. it was worth to get the ticket included Heineken experience, you will get 3 free beverage and one of that is a bottle of Heineken with your name. Great experience and suggest to go during evening time so that you able to catch the sunset and night view. It was a very nice experience for me and my boyfriend. We had an awesome view over the city and you should definitely book the admission ticket with the ticket for the world of Heineken! It was so much fun and you get 3 beer, one water and chips for snack! So you can drink and snack and enjoy the view! After that we went to the skydeck, at that time it was beautiful at night! It was a very nice experience for me and my boyfriend. 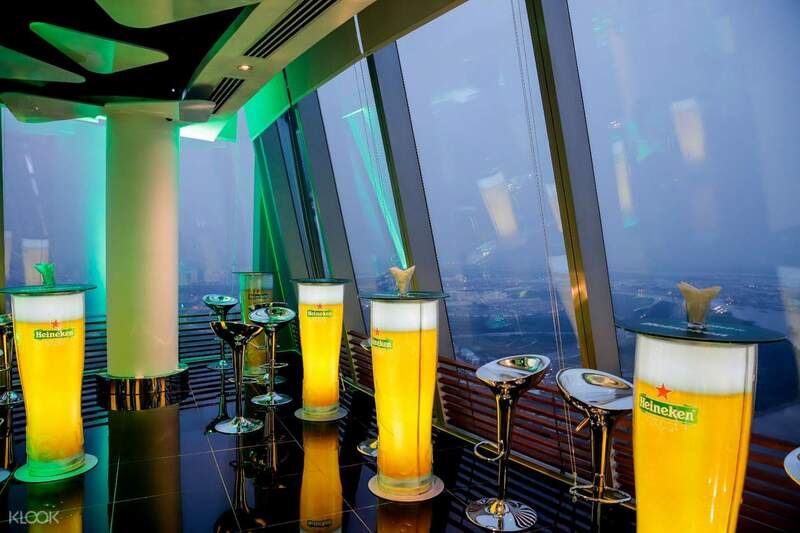 We had an awesome view over the city and you should definitely book the admission ticket with the ticket for the world of Heineken! It was so much fun and you get 3 beer, one water and chips for snack! So you can drink and snack and enjoy the view! After that we went to the skydeck, at that time it was beautiful at night! Super easy to use. The Skydeck is located in the centre of Saigon in district 1, a short hop from the main malls and hotels by taxi or moto. Easily redeemable at the front desk with amazing panoramic view of Ho Chi Minh city, the Saigon river and the Mekong. Inside it has lots of facilities, complimentary water, telescopes, virtual guides and a restaurant. Not the highest viewing deck in the world but perfectly adequate for Ho Chi Minh City. Super easy to use. 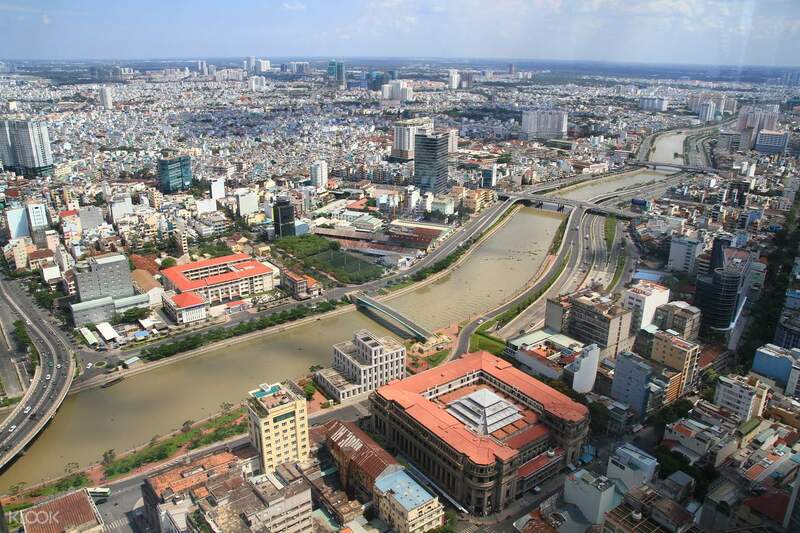 The Skydeck is located in the centre of Saigon in district 1, a short hop from the main malls and hotels by taxi or moto. Easily redeemable at the front desk with amazing panoramic view of Ho Chi Minh city, the Saigon river and the Mekong. Inside it has lots of facilities, complimentary water, telescopes, virtual guides and a restaurant. Not the highest viewing deck in the world but perfectly adequate for Ho Chi Minh City. Beautiful view on top of a lotus-inspired skyscraper. A definite 360° experience with breathtaking scenery of Ho Chi Minh City. The Heineken experience was very interactive. such an unforgettable moment indeed. Beautiful view on top of a lotus-inspired skyscraper. A definite 360° experience with breathtaking scenery of Ho Chi Minh City. The Heineken experience was very interactive. such an unforgettable moment indeed. Super worth it and affordable! You get to learn the history of Heineken with free drinks of course and to see the view of Saigon from the top. Great value for money. You will also be able to take home a Heineken bottle with your name on it. Super worth it and affordable! You get to learn the history of Heineken with free drinks of course and to see the view of Saigon from the top. Great value for money. You will also be able to take home a Heineken bottle with your name on it. This is a great activity! We did it on our first day and I could say that it's a great start because you'll see the whole of Saigon from up above. Avail the Heineken tour as well. It's interactive and fun and they offer lots of freebies which are great for souvenirs. This is a great activity! We did it on our first day and I could say that it's a great start because you'll see the whole of Saigon from up above. Avail the Heineken tour as well. It's interactive and fun and they offer lots of freebies which are great for souvenirs. Our family had a great time! This was the best deal ever! We enjoyed the view from the skydeck. 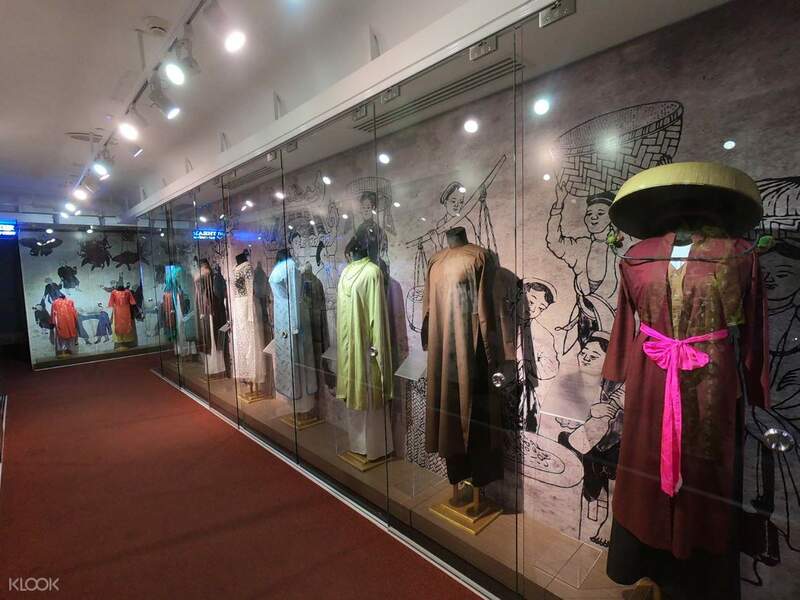 We also entered free exhibit. The highlight of this experience was the Heineken world tour. The guides were so amazing and very accommodating. The free souvenir bottles were very unique. Our family had a great time! This was the best deal ever! We enjoyed the view from the skydeck. We also entered free exhibit. The highlight of this experience was the Heineken world tour. The guides were so amazing and very accommodating. The free souvenir bottles were very unique. The place is so amazing, specially the local tour guide. Staff are very friendly and accomodating. They gaving smile in their face everytime you approched them. This is one of the unforgetable travel experience that i have been. The place is so amazing, specially the local tour guide. Staff are very friendly and accomodating. They gaving smile in their face everytime you approched them. This is one of the unforgetable travel experience that i have been. It was nice and hassle-free experience. You get there, present voucher, get tickets, go up & enjoy the view 😊 Tickets will give you a 20% discount at the cafe. Best time to go: 4 or 5pm to watch sunset until 7 or 8pm to see saigon’s night lights. It was nice and hassle-free experience. You get there, present voucher, get tickets, go up & enjoy the view 😊 Tickets will give you a 20% discount at the cafe. Best time to go: 4 or 5pm to watch sunset until 7 or 8pm to see saigon’s night lights.